When I first began thinking about a prospective CHI fellowship project, I wanted to map the Underground Railroad between Detroit and Windsor, specifically spatializing where and how people escaped. In the last few weeks however, I have begun to think about fundamentally changing my project. My primary reason for this is that I am studying 20th century US and Canadian history and feel that I would not be able to do justice to a project that is temporally so removed from my doctoral research. Although the alternative has not fully germinated in my head, at this point I am gravitating towards understanding the impact of photographs on architecture and built form. Let me add a little context to this: I have been researching the Farm Security Administration’s photographs from the Great Depression era, in specific photographs that relate to the Resettlement Administration in their effort to relocate sharecroppers to other locations and break away from land tenancy. Often criticized for being ‘socialist’ in its mindset, the Resettlement Administration made way for the Farm Security Administration. Before that however, there was a proliferation of ‘company towns’ throughout the Unites States, thanks to the Resettlement Administration. At their peak in the 1930s, company towns housed about 2 million Americans, including as many as one in five adults in places like South Carolina. But most made way for the post World War II suburban sprawl. How can digital tools be used to spatialize historical data? Specifically, how can we use digital mapping to tell an effective story of company town planning and form? How might it be possible to integrate the FSA photographs with the plans of company towns? What will this tell us about the ways in which the Great Depression was represented in popular culture? How might we re-think the suburban sprawl in relation to these company towns and big infrastructure? Digital tools, especially GIS have helped re-open spatial questions across disciplines, but especially in History. Indeed, by scraping spatial data from archives, researchers can address a variety of questions. These tools help researchers ask old questions anew with greater analytical depth and context. Through spatializing and visualizing data, these tools help tease out connections that might have otherwise seemed latent. Visualization of data is an underused tool, in my reading, especially in the humanities. Just being able to see things on a large canvas often times makes connections far more explicit. Interactive interface. To me, the most exciting part of the project is the ability to design a user interface that lets the user interact with historical act in tactile ways. In a sense, a well thought out and designed interface can help the archival material speak for itself. And now, I will go back to figuring out the specifics of my project. Any feedback/inputs/comments are always welcome! Academia is changing. The old standard 500+ page, written dissertation may become obsolete as new technologies develop and academia starts accepting new models of the dissertation. One model is incorporating digital components (i.e. a map, database, appendices, or other entities) into dissertation projects. Because of my participation and experiences in the CHI fellowship, I have been asked by a few people (including CHI director Ethan Watrall) whether I want to incorporate the skills I have learned to add a digital component into my dissertation. Honestly, I have been fearful of even bringing up the idea to my committee chair. Why am I so afraid? I think this stems from the idea of doing something ‘different’, ‘new’, or something that ‘isn’t the standard’ for a PhD dissertation in the heritage/human sciences. These past few weeks I’ve been pondering what to do for my CHI fellowship project. This has prompted a lot of introspection on what I think is important about digital cultural heritage, along with many internet searches. One of my core beliefs is that archaeology, in some form, should be accessible to the public (this is sometimes referred to as public archaeology, or you can go here for more information on digital public archaeology). This is partly because people need to be invested in our shared past, but also because the public supports archaeological research (in more ways than one). But making it available and helping people understand it are two different things. How do you help the public understand sometimes difficult concepts? 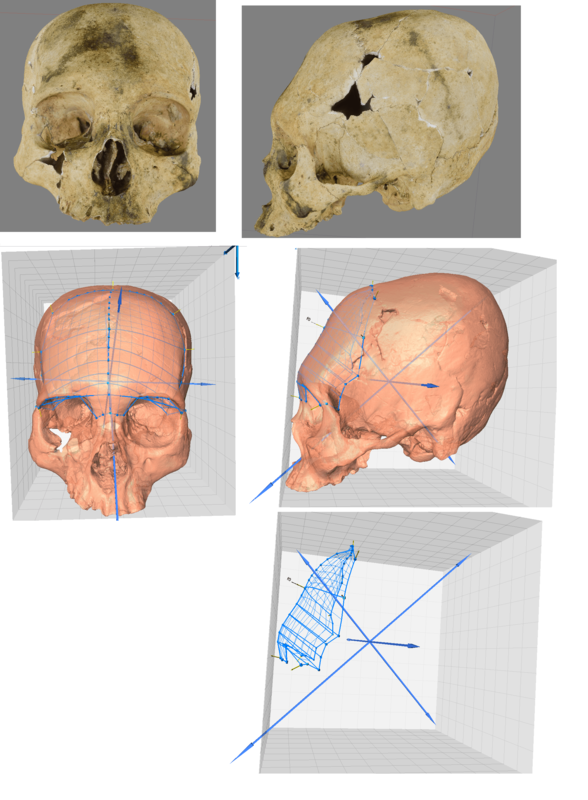 One (I think) cool option for making it easier for people to understand and become engaged with archaeology is through 3D modelling, which has already been discussed in several other blog posts. As I was perusing some of my archaeology news sites this week, I came across an article where researchers had created a 3D rendering of a wealthy family’s home at the site of Pompeii, in Italy. This site was destroyed by the eruption of Mount Vesuvius in A.D. 79, which buried much of the city under layers of volcanic ash, preserving the site in situ (in its original, undisturbed location). 3D modelling is great for providing these views of how things looked in the past, like this tour of Rome as it looked circa AD 320. This allows people to get a glimpse of these sites at their height, as well as see some of the results of the archaeological research that has been done on them. Significant research goes into recreating these sites as they would have looked 2000 years ago. Models such as these make sites that may not be accessible for a variety of reasons (cost, distance to travel, general accessibility) accessible to anyone with a computer. 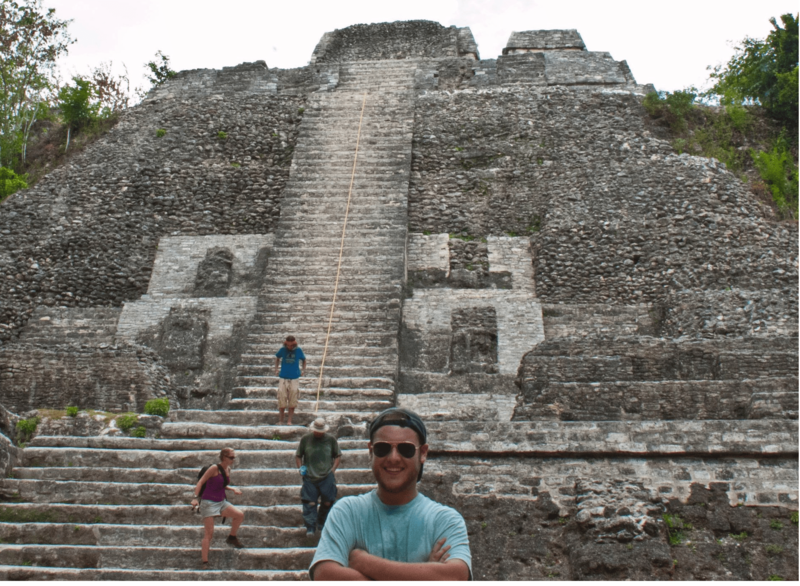 Whether you have bad knees and can’t walk great distances, or just can’t afford the cost of flying to a foreign country, you can still experience what it feels like to be amid these important sites, while also experiencing results of the research done there. If you are just interested in viewing some of the more well-known sites from afar, 3D imaging allows for that now as well. You can use Google maps to do street views of many popular archaeological sites, such as Stonehenge, Pyramids of Giza, Chichén Itzá, Machu Picchu, or the Colosseum in Rome. While these views don’t provide any interpretations of the sites, they do open the door on the conversation, and allow greater accessibility to places that are of great historical importance. Hopefully this can be a start to prompting additional research and more in depth thought on these sites and what they mean, while also being another avenue for digital public archaeology. While I highly advocate for greater accessibility to important places such as these, and for cool new ways of providing archaeological interpretations such as through modeling of sites as they looked at their peak, this greater accessibility does lead to some issues. Increased awareness and increased tourism can lead to greater risk for the site and its preservation, in the forms of looting, vandalism, or just through additional traffic by tourists (for more information on the effects of tourism, check out this article: Tourism and Archaeological Heritage). At the same time, these digital representations help preserve the sites in one, static form. As of yet, there is no easy answer on how to rectify this. There are many challenges yet to be overcome, but this is an exciting direction to see things headed in. Since my last blog post, the foundations of digital project planning have been arranged, and the next steps have been taken towards creating the framework for my CHI project. From learning the fundamentals of project management to work plan preparation to geospatial web mapping, the tools have been placed in our hands to begin the process of building a solid digital space that houses a compelling theoretical argument and visualized representations of our evidence. I’ll be quite candid in saying that ruminations of my project have been lurking in my mind for several weeks now, further established and solidified as I continue through my readings course, a course designed to ignite those sparks of thought and theory in hopes of contributing to the development of a project. My ideas and their solidity were put to the challenge when an opportunity to apply for a conference in Göteborg, Sweden (Digital Humanities in the Nordic) presented itself and suddenly all of those ideas needed organization. And this is where I saw the efforts of the last several weeks of learning and challenges and collaboration exude through my project proposal. 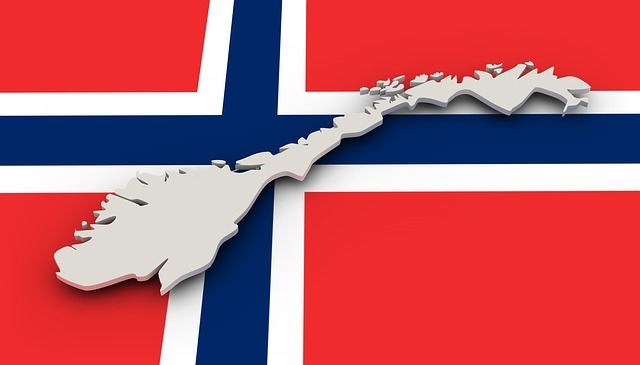 How is literature used to address issues of language identity in Norway? How can a digital platform negotiate boundaries and barriers of language use and identity in ways another medium is perhaps limiting? How can we use a digital map to show flexibility in language use boundaries in ways that acknowledge the problems of creating boundaries of language use and identity? While the project has a long way to go in terms of planning, organizing, and really tackling that theoretical question, this is a start. Next week I will be attending a workshop in LEADR which will introduce 3D Modeling with photogrammetry. I’m not new the world of 3D modeling (I’m looking at you 3dsMax) but I am new to creating 3D models in conjunction with photography. I’m hoping this new tool provide an extra dimensions to a future iteration of my CHI project! A couple of weeks ago, I presented some research on place and space at the Cultural Rhetorics Conference (CRCon). My presentation was on “Whose Voice and Space? : A look at white space and rhetorical sovereignty in St. Kitts memory of colonization.” Specifically, I looked into the massacre of the Kalinago people at Bloody Point and how that relates to the rhetorical sovereignty around the claiming of the land and deaths at the hands of the colonizers of the Island and how it relates to the rhetorical sovereignty of the Islanders. I am very excited about the work we are starting in relation to mapping because of my interest in Indigenous peoples and People of Color and our emerging voices and the rhetorical sovereignty we claim over our own stories and histories in contrast to the stories told about us. As my cohort learned during this week’s lecture, maps are political and tell a story of power. Who claims that power over the land and place that is mapped, tells their perspective of what is true about that location. In short, the act of claiming the land, naming the places, and presenting a history of that location to fit a narrative are acts of power and colonialism. I am looking forward to our current assignment of creating an interactive map, as my colleagues and I have chosen to look at Northern Wales. Wales, like other some other Celtic areas, was conquered by the English. However, unlike many places (like St. Kitts) that were colonized many centuries later, they managed to keep their language and culture (while somewhat modified) mostly intact. This caused many of the places and locations to have a Welsh name as well as an Anglicized name and–on occasion—an alternative English name. Specifically, on our map, we will be looking at the labor produced in the area (specifically the quarries, mines, and woolen mills—including places of strikes and unionization), who benefited from that labor, and the philanthropic results of these acts within the community that created arts communities and arts education outreaches that are results of families that financially benefited from the industrial ages’ slave trade and wanted to benefit from the work produced by Welsh laborers in the 1800s to the 1900s. However, while large estates, gardens, and resorts were built with this money, the locals from the region, experienced hardships. This lead to strikes, work outages, and unionization. This action created a better financial base through the better wages through unionization so the communities of these Welsh laborers and their communities benefited. The philanthropic results of the money placed back into the community by these workers and their families created arts and educational programs that benefited the region. In short, I am looking forward to exploring this idea in more depth and visually representing this time and location by recognizing some of the history that is overlooked by many. This past week I attended the 60th anniversary of the Midwest Archaeological Conference in Iowa City, Iowa. While my presentation overlapped with the digital archaeology session, I was able to attend one presentation by Dr. Sissel Schroeder, Jake Pfaffenroth, Marissa Lee, and Sarah Taylor (University of Wisconsin-Madison) on Photogrammetry and 3D Models of Fabric from Impressions in Pottery. This last week, we discussed Geospatial visualization tools to aid the creation, display, and emphasis of geospatial analytics. As a researcher of the rhetoric of place and space, that is, the communicative relationship between citizens and locales, I’ve been eager for ways to represent the various forms of this relationship digitally. Being your about average digitally literate citizen, I immediately thought of Google Maps and its standard use as representative of what geospatial tools could do. So if I were to present research on the dominant revolutionary narrative of Cairo’s Tahrir Square, for instance, toggling between Google Map’s Street and Roadmap views, could visually demonstrate material influences: the landmarks, layout of political buildings, and topography, so forth, alongside a discussion of how these spaces are “socially crafted” through behavioral acts. For your average user, Google Maps’ ability to visualize and navigate the material domains of space means it wouldn’t upfront tell us much about social and political dynamics of a site. This made it easier for scholars like myself to simplify the use of the interface to represent the material. However, great strides in geospatial software and Big Data, in general, mean that analytics on locales have the potential of revealing much much more. I refer mostly to how Big Data has contributed to the creation of Smart Cities, cities wherein sensors gather, analyze, and interpret large sets of data to track anything from resource consumption, traffic rates, Wifi availability, to even grants for the arts. Talk about your options for visualizing certain place-based analytics! By combining a series of metrics, a “CityScore” can indicate a city’s overall health, and cities such as Boston, Chicago, and New York have already begun to rely on Big Data’s ability to represent place to improve efficiency, resources, and the engagement of citizens. Though Smart Cities are still a relatively new way of ‘visualizing’ place, discussions of its benefits are rolling in. Though its ability to make cities more efficient is obvious, there have also been insights as to its democratic benefits. Place data from city-wide sensors could allow more equitable distribution of resources among poor and rich neighborhoods, and as The Economist predicts, could have allowed a quicker response to prolonged tragedies such as Flint’s water crisis. The idea of Smart Cities links Big Data with an improved democratic infrastructure. However, in the same way that citizens can ‘supposedly’ be self-governing in a democracy, could they do the same in an ever-growing and changing digital universe of Big Data? A large part of the democratic challenges involves the digital citizens to be informed users, particularly from Big Data privacy issues. Big data breaches aside, Jonathan Obar (2015) asserts that the individual’s limited time to educate themselves on multiple terms of service statements, private policies, and hidden data brokers combined with the rapid evolution of Big Data, as well as its lack of transparency make it nearly impossible to be an informed digital citizen. This limitation on privacy and knowledge has already bit back at Smart Cities’ data access as Seattle’s citizens have protested against tracking methods, thus leading to the implementation of data-protection officers. The ability of digital tools to represent more than material space is quickly becoming an alarming reality. As a researcher in place/space, I’m excited for this more robust view of place dynamics. Furthermore, what is done with that data can have amazing results in the hands of the right people, but individual consent and say in its use may still remain an afterthought to innovation. Who’s paying for class=”fa fa-home”? I recently switched to one of these wireless service providers with a sort of pay-as-you-go model, and so now I’m (trying to be?) thriftier when it comes to the data I consume. Earlier today, as we wrapped up our cultural heritage project pitch websites and learned about mapping tools, the option I was recently given on my phone by the Google Maps application to download my area for navigation offline prompted me to take a step back and think about my team’s project website in terms of design choices, especially with regard to the cost of accessing it. Providing some context: for the cultural heritage project, we thought of a smartphone application repackaging the audio tour mp3s at Stockholm’s Vasa Museum, currently available on their website, in order to streamline visitors’ audio tour experience. Beyond thinking about the means by which end-users would get ahold of the application (i.e., by streaming the audio, downloading all mp3s at once, or downloading them one by one during a tour), we did not get too much into the details of implementation, but the project pitch site can serve as a kind of placeholder for thinking about the implementation of cultural heritage projects. First, the networking section of the Google Chrome developer tools provided some useful information about our project site. At its root, our site weighed 6.4 MB, and took 5.26 seconds to load on my home wireless network. The images, alone, accounted for 6.3 of the 6.4 MB. The larger one of the two images (4.3 MB) is hosted with GitHub here in the U.S. and took 513 milliseconds for the browser to retrieve; the smaller one (2.0 MB) took tens times as long (5.14 seconds) to retrieve from its server in Stockholm. Then, using Xcode’s Network Link Conditioner to simulate full network throughput and a latency of 500 milliseconds (about the latency of a satellite connection), I found that our site took 40.58 seconds to fully load in a browser in those conditions.